Reduce, reuse, recycle. The perfect saying for a great way to continue efforts on saving the environment. The National Honors Society (NHS) in Freedom has started a program for recycling, all that they are waiting for are for their fellow classmates to start recycling. The program started officially on Jan 16. 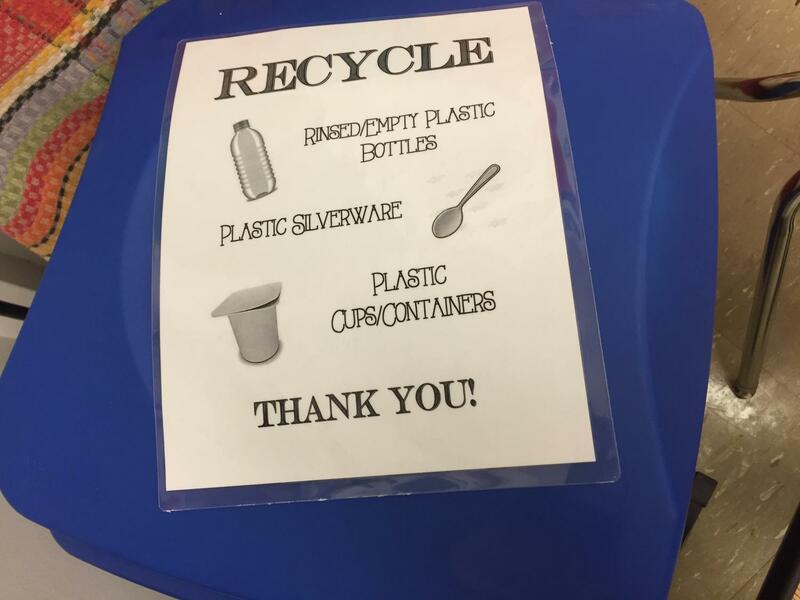 The idea for the recycling program came about when High School teachers Ms. Kristen Milanovich and Ms. Ruthanne Gudzan asked the members of NHS to brainstorm a list of issues/problems within the school and community that they felt were important. Not only is Milanovich passionate about recycling, on that list was recycling plastic products. And with the new recycling program comes a new NHS committee, which is led by senior Michaela Hedge. The members of NHS are dedicated to this program. Each member had to sign up for a time during each lunch to check the recycling bin. The members are responsible for rinsing out the plastic bottles, emptying the bin when necessary, and taking the plastic items to New Swickely’s recycling center. “I think recycling is very important for our environment. In these times, everyone should be doing their part to protect our environment. This is a small change in our school, but we are hoping it makes a difference,” Gudzan said. Communications teacher Bradley Baldwin, an advocate for recycling, had something to say about the new program. “It is an important task for humanity because we create so much waste,” Baldwin said. Sophomore Zoey Blanchard believes that recycling is important in order to take care of the Earth. “I think that starting a recycling program for plastic items is a really good idea,” Blanchard said. Of course, the program has some concerns for the beginning of the program’s lifetime. “I definitely think some students will recycle more, but in all the chaos of the cafeteria, I can see some overlooking the recycling bin,” Gudzan said. Mr. Baldwin has a positive outlook for the recycling program. “As long as teachers and students promote the program and lead by example, our school will become effective recyclers!” Baldwin said. No matter what will happen with the program, those who are passionate about recycling believe in this new program that NHS has created for the high school. The program will not only help the environment but even help the school begin to make an impression on the Earth. Recycling is important for the environment, even if it means taking the time to separate plastic. “Every one bottle that gets recycled is one less going into a landfill,” Gudzan said. Of course recycling is important, so trying to recycle during lunch will be helpful to encourage recycling in the community.